For me it was the House of Night Series by PC and Kristin Cast. I really liked the series in the beginning, I thought the idea was interesting but then it just started going on for too long. I'm not sure if it's even ended yet but I couldn't help dropping off. I actually have some of the books that I haven't read yet (Borders going out of business sale). Maybe I will pick it up again but maybe not. Hopping through. House of Night is a popular choice. I'd still like to try it. I've been seeing this on a lot of peoples. Mine as well! Yea... I picked this too!!! hahahah!! These books just started to be really poorly written! It seems to be the longer series that people are breaking up with. I think sometimes authors don't know when to just wrap a series up before their readers loose interest! 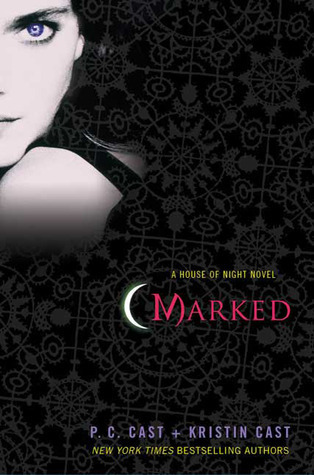 I quit House of Night too, it started to irritate me after 2 books. New follower on bloglovin! House of Night seems to be a popular choice! You're the second person I've seen with HoN. I've broken up with that series also. Great FF post! Have a great weekend! I'm definitely not starting HoN, everyone seems to have given up on it!